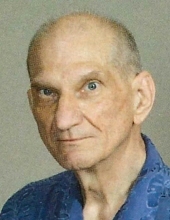 Peter Jerome Skeris, 77, Green Bay, died peacefully on April 9, 2019 at a local nursing home. The son of Alex F. and Eugenia T. Skeris was born February 23, 1942 in Sheboygan. Peter was a graduate of St. Lawrence Seminary High School in Mount Calvary, earned his Bachelor’s Degree at Saint Joseph's College in Rensselaer, Indiana and his Master of Social Work from Loyola of Chicago. He worked in the court and prison systems in Wisconsin, Illinois and Alaska. He is survived by his siblings, Father Robert A. Skeris, Sheboygan, and Catherine C. Skeris, Green Bay. He is further survived by his brother-in-law, Ronald H. Elmer, Reedsburg, nieces, nephews and other extended family members. Peter was preceded in death by his parents, Alex and Eugenia; brothers, Eugene F. and Philip J. Skeris; sisters, Barbara A. Elmer and Alexia R. (Neal) Altmann. Family and friends may gather at St. Patrick’s Oratory, 211 N. Maple Avenue, Green Bay, on Monday, April 15, 2019. A parish rosary will be recited at 9:30 a.m. with a Requiem Mass to follow at 10:00 a.m. Father Robert A. Skeris will officiate. Burial will take place at Allouez Catholic Cemetery. To send flowers or a remembrance gift to the family of Peter Jerome Skeris, please visit our Tribute Store. Rosary 9:30. Requiem Mass 10:00. "Email Address" would like to share the life celebration of Peter Jerome Skeris. Click on the "link" to go to share a favorite memory or leave a condolence message for the family.